Maybe it's time to stop complaining about open plan workplaces and start looking for solutions? Open plan offices seem to be here to stay – they’ve been dominating workspace architecture for over a century. So maybe it’s time to stop moaning about the side effects of a shared open plan space and start embracing ways to make this concept work? Organisations continue to implement open office spaces aiming to encourage collaboration, enhance exposure to different types of expertise, and hoping to accelerate innovation. Are millennials really the moaners they're made out to be? 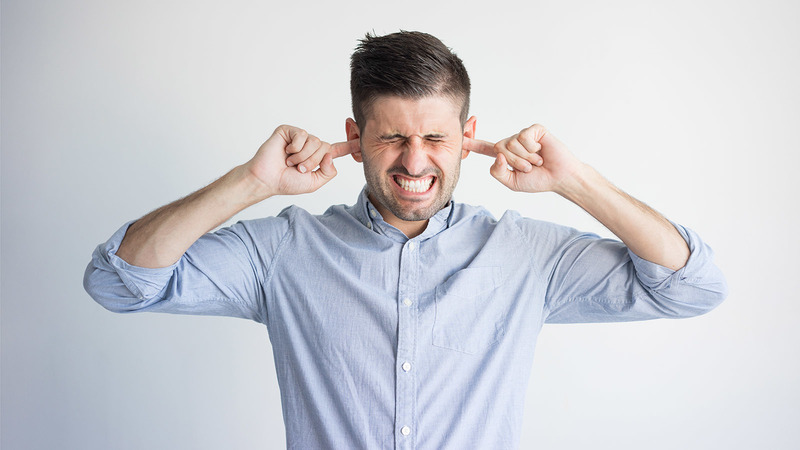 When researching open plan offices and shared or collaborative spaces, articles abound about how difficult it is to work in a noisy workplace. Millennials, they would have us believe, find it especially difficult to cope, spending their work life managing stress levels and listening to recordings of white noise. However if everyone in your office is wearing noise cancelling headphones, doesn’t this negate the benefits of the workplace designed for collaboration? Like most things in life, there are positives and negatives to working in an open plan office. However there has to be a way to achieve the productivity benefits associated with working collaboratively without sacrificing our eardrums and our privacy. The great news is that some smart businesses are already designing solutions for collaborative spaces that don’t sacrifice the productivity and wellbeing of those using them. Companies that have embraced these include Pixar, Facebook, and Microsoft. They enable workers to have choice and control of where they work by providing a range of settings to support multiple work modes: focused, social, learning, and collaborative. And for those of us who don’t have the budget of Google, there are still affordable options. A huge floor plan isn’t essential. You can exist in smaller spaces without massive amounts of breakout rooms or fancy timeout zones full of foosball tables and yoga mats. Good quality solutions are available that are flexible and can scale to meet your changing needs. There’s also no need for an expensive retrofit of an existing space. As some companies have learned the hard way, it’s clearly not enough just to provide a seating area in a random space and expect people to use it for collaboration. What is important is that any spaces provided are carefully considered and fit for purpose. Give people the option to select a space that suits their current mode of work. Provide collaborative seating, but also provide areas for focused concentration or quiet consideration. Pods are one option that allow users the chance for some visual and auditory privacy without the need for a meeting room. They only take up a small amount of floor space and can be moved around the office as needed. The best examples incorporate noise dampening treatments to further insulate users from noisy distractions. When planning, carefully consider proximity to other work areas. Collaboration spaces can’t be too close to those trying to work quietly. Existing spaces can retrofitted with acoustic lighting and acoustic furniture to provide a more comfortable level of sound quality. Those with budget and the foresight of good planning can incorporate acoustic treatments into their walls and ceilings and floors. The latest nanofibre technology allows your office furniture to work even harder by giving it the dual purpose of dampening noise. Acoustic lights like Hush dampen the noise of distracting speech frequencies, whilst adding aesthetic appeal and a light source. Solutions like these can be easily added retrospectively to spaces where noise control is a problem. As much as possible, give employees an easy option for making their workspaces portable. One clever product, Gustav, has converted people resistant to Activity Based Working (ABW) by aiding them to quickly and easily move all their work ‘stuff’ to locations they use throughout their working day. Nowadays we expect our technology to be available wherever and whenever we need it. It’s difficult to make use of the spaces provided for focused or collaborative work if you can’t easily take your devices with you. Wireless connectivity and options to recharge devices should be the norm in all areas. Building this option into the furniture eliminates messy extension cords and adds convenience. Seating should invite use for both short and long periods of time – making sure that ergonomics are considered in seating and height of tables provided. Even if the spaces are only required for brief periods of time for a quick brainstorm or a short private planning session, if they are uncomfortable they won’t be used. Get this detail right and people will enjoy using the space without having to pay a visit to that yoga zone afterwards. Although there may be some negative side effects relating to the open plan office, there are an increasing range of options available to help avoid or manage these downsides. There are plenty of examples of companies who have it right and are achieving the productivity and benefits of collaboration without any associated loss of engagement among employees. However this requires a commitment to understanding the theory behind the concept of activity based working – not just paying lip service. It also means ensuring that the acoustics in the workplace support a healthy and productive working environment. The overall office design must be fit for purpose, including all furniture and fittings. If you can get the formula right everyone will be happy – even the Millennials.